​Blue Can Water offers the best emergency drinking water for disaster preparation. You can make sure that your family is safe from anything that happens, from hurricanes to power outages to compromised water lines. ​Supplied to FEMA, NASA, and Homeland Security. Due to the weight of this product we would like to talk to you about shipping. 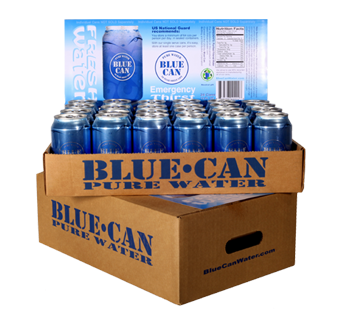 Please fill out the form below so that we can talk about getting your Blue Can Water to you!